Why do we call ReptMart.com "Your Online Reptile Superstore?" Because if you are looking for reptiles for sale online, we here at ReptMart.com are your one-stop-shop for all of your reptile needs. We offer premium reptiles for sale online without the premium cost of a "middle man." 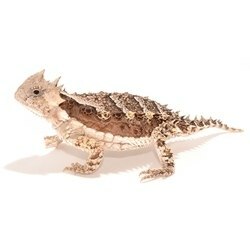 ReptMart.com breeds some of the highest quality reptiles for sale in the industry. We have a huge variety of reptiles for sale such as boas, ball pythons, corn snakes, king snakes, turtles, tortoises, geckos, lizards, arachnids, toads, salamanders, frogs and newts. Our highly specialized breeding facility also allows us to produce unique reptile morphs and color variations not found anywhere else in the world. ReptMart.com understands what it takes to care for your reptile as well. We carry a wide assortment of terrariums, cages, substrates, lights, light fixtures, heat bulbs, vitamins, minerals, frozen feeders, canned reptile food, feeding accessories, habitat accessories, plants, vines, misters, foggers, and cleaning supplies. If you are wanting to buy a reptile online , or are already a passionate reptile pet owner, ReptMart.com can supply all of your needs.